On this episode of “How VW Parts Fail” we are looking at the failure of the 2.5L PCV valve built in to the valve cover. This engine was the common engine in many VW cars. The Jetta, Rabbit, Jetta SportWagen, Beetle and Passat all came with the 2.5L engine. 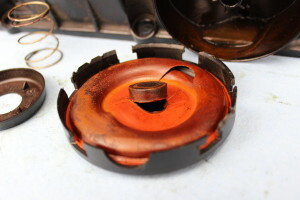 The valve failing could cause the check engine light to come on, as well as a rough idle. Today we are going to look at how it fails, as well as how to diagnose it. 2.5L valve cover with PCV valve from ShopDAP. Trouble viewing? Watch “How VW Parts Fail ~ 2.5L Valve Cover with PCV Valve” on YouTube. 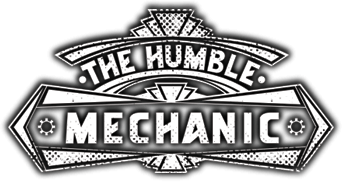 Hi Humble Mechanic! Thanks for all of your insight! I am stumped here. I have a 2010 VW Jetta SE 2.5L. I changed the Pressure/Temp sensor 3 times, replaced the pcv valve, and last resort, even bought and replaced the entire valve cover. Somehow, I keep getting the P0106 Manifold Absolute Pressure/ Barometric Pressure Circuit Range / Performance and P2188 System too rich at Idle Bank 1. It seems to only happen when it’s in the lower 40’s and 30’s. It seems to be completely fine when it’s in the 50’s and warmer. Whenever the code turns on, I take it all apart and look in the manifold where the sensor is and there is oil in there. It seems to still be coming from the PCV even after replacing the entire cover. My biggest curiosity is this. I have been using 0W40 by Mobil oil because Mobil oil claims that is the correct viscosity. Could it be possible that it is getting into the manifold when it’s so cold outside because I need to be using 5W40 instead of 0W40? 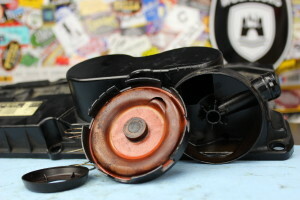 Humble mechanic, have you ever seen some type of milky oil when removing the PCV Valve cover on the actual cover? What does that actually mean? Any information is greatly appreciate.